Complete health guarantee is available at 1% of the purchase price of the bird per day for unlimited days. Health guarantee must be agreed to at time of purchase. 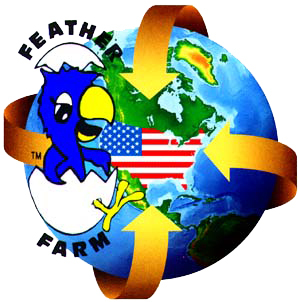 The Feather Farm is dedicated to conservation through the captive propagation of Psittacines. throughout the aviculture industry and the avian community. 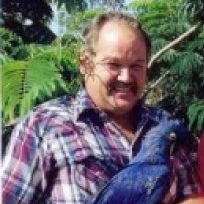 The Feather Farm has been assisting bird breeders and companion parrot owners for over 40 years. In addition to offering some of the industry's best products, the success of our own breeding program has allowed us the opportunity to craft some fairly remarkable and unique items all our own. 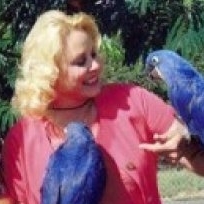 Although we have achieved a world-wide reputation we have managed to maintain the intimacy with our parrots that drew us to this vocation in the first place. We have not lost our passion for these wonderful creatures and all that is required to insure that they lead a healthful, happy life. We believe that you will see this reflected both in the items that we offer as well as the loving and well-socialized companion birds that we raise. We invite you to visit our facility and see for yourself. Directions to our showroom and breeding facility nestled in the rolling foothills of California's beautiful Napa Valley, can be found below. This is the best place to get birds. They also give homes to birds no one wants… This is a humane farm and they have all kinds of birds, from chickens to parakeets to parrots. You name it. I use to take my granddaughter there when she was a little girl. It was like going to a the zoo… It’s wonderful. Bought my new friend, an English Parakeet, from here! They were phenomenal in helping us get everything we needed, they gave us free food, toys, treats, and spent a long time educating us before making our purchase! They even offer free nail and wing clippings for life! I would highly recommend them to anyone looking to adopt a bird from breeders who really care!